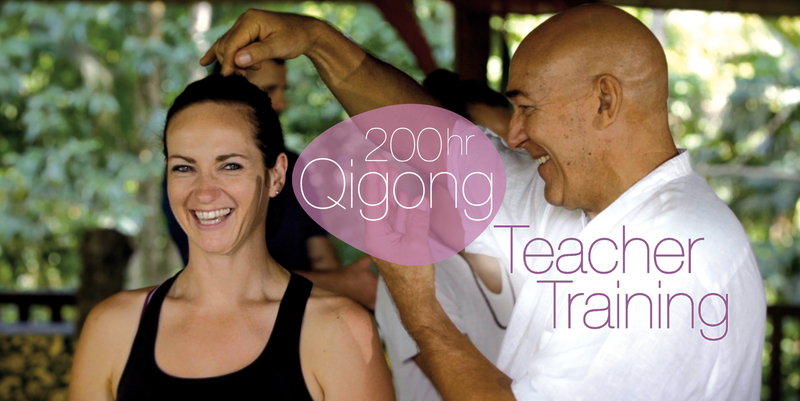 This is not just a Qigong Teacher Training. Your life will be transformed after the 30 days and you will learn all the skills you need to teach Qigong and for your own self realisation – to live a happy and fulfilling life. Watch the video below to get a deeper sense of what you can expect. 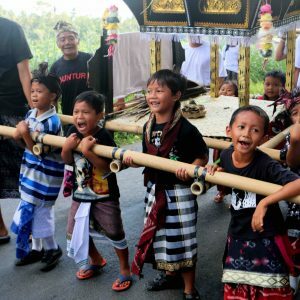 I just want to share my experience of what it has been like travelling to Bali with my wife Josephine and raising our son here. In 2014 Josephine and I arrived in Ubud, Bali with a couple of suitcases and no plans of what was going to happen next. We decided to make Bali our home and I started treating patients and teaching Qigong classes and Qigong Teacher training courses. For us it has been a massive and exciting change to our lives. And definitely one for the better. I feel much happier and content and I have experienced a lot more freedom than ever before in my life. I now have much more time, space, joy and peace to do the things I love and spend time with my family. There is something about practising Taiji and Qigong in Bali that has allowed the space in my life to do that. People come from all around the world to Bali seeking a better life or to find some meaning and purpose in their lives. Bali is a deeply spiritual and exciting place and for those who have visited Bali before they will agree with this. It is an ideal place to come for a retreat, for the great weather, fresh food and friendly people. I have put my life’s learning, teaching and experience together to create a deeply and a profound life changing experience using the art of Qigong and to teach others how they too can share this treasure. 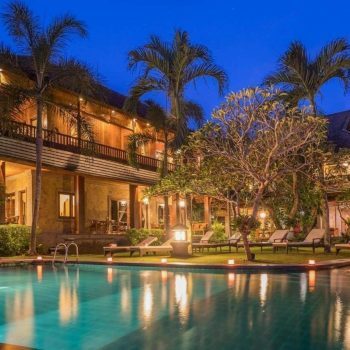 I have created a 200 hours residential Qigong Teacher Training retreat to be held in Ubud, Bali from 28 June 2019 – 27 July 2019. There is no other course in the world offering this particular training and it is not only a Qigong Teacher Training but a vehicle in how to create a better life, one of connection, peace, stillness, fulfilment and contentment. This 30 day retreat experience will revolutionise your life. Your life will not be the same afterwards and it will give you an awakened outlook on how you can live your life. A very different life, one without stress and worry, one without feeling disconnection and isolation, one without needing to fit into the world, and one of freedom. During the 30 day retreat you will experience much more than just Qigong, it’s about our whole lives, our dreams, our aspirations, our journey, our adventures, our excitement, our hearts, our curiosity, our passions and our purpose in life. This retreat is about self growth and discovery. And this retreat is about creating and having a better life and learning the skills to pass that on to others. Come and be apart of my family and the Forest Rock Taiji and Qigong school community. Come and make friends with others who have common goals and desires. Come and learn how to live a more fulfilling life and come and learn how to be free. After taking part in Peter's course my connection to myself, my practices, and the world around me has deepened in ways that I could never have expected. He has given me a new understanding of what is possible that I know will forever change me. Serious stuff! During the course we will be studying the 5 elements. We are very grateful to have the deep wisdom and experience of Cameron Tuapua who will be teaching this section of the course. We will journey into Bali’s natural lifestyle, culture and connection to nature to explore the 5 Elements in depth. 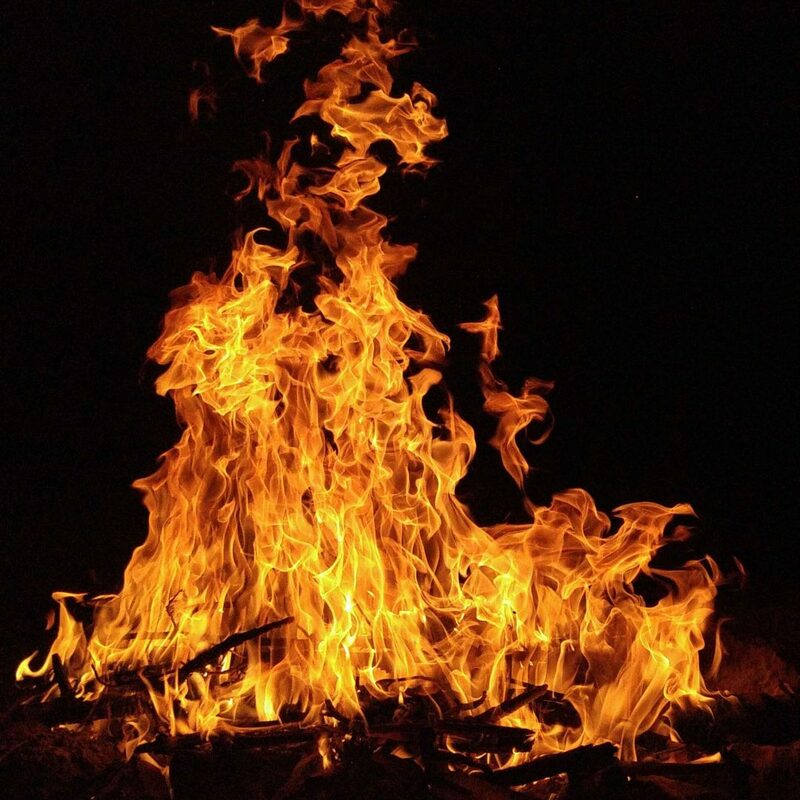 We will be drawing energies from Fire, Earth, Metal, Water and Wood found in Bali to deepen our connection to the roots of Qigong and Traditional Chinese Medical philosophy. 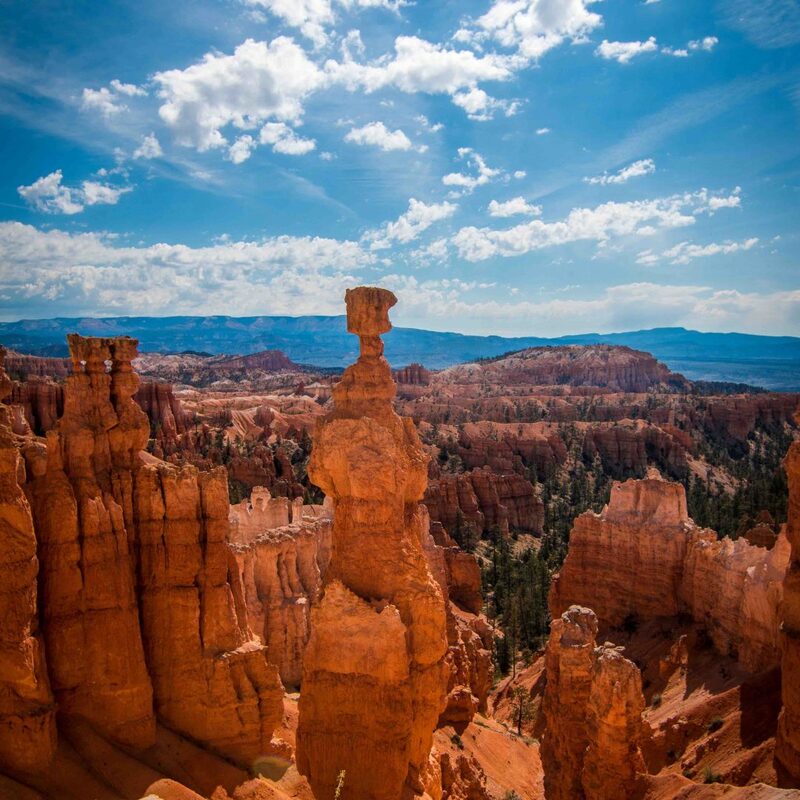 These elements are woven into the training as they are within all of us, and enhance our awareness and connection to the natural world. Throughout the years, Peter and the Forest Rock Taiji and Qigong School trainings have been constantly evolving. All of us involved with the creation of this Qigong Teacher Training have been evolving with Qigong and TCM for the better part of our lives. 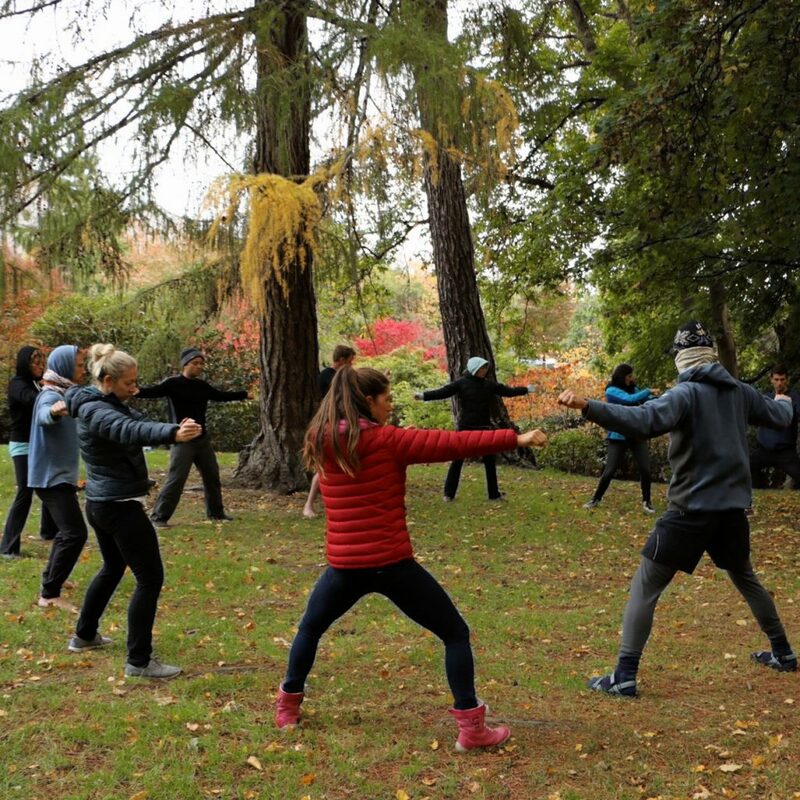 Using the culmination of our experience we have developed this high level and life changing Qigong Teacher Training 30 Day Residential Retreat. One of the unique points about our world class training is the level of the teachers and the curriculum. You will be taught by senior lectures from Traditional Chinese Medicine Tertiary institutes in –Traditional Chinese Medicine, Medical Qigong and Qigong. What makes an outstanding Qigong teacher is someone who is authentic, integrated and coming from their heart. * Someone who has a deep understanding of themselves so they can inspire others to go deeply inside themselves to become free. Discover who you are, your true purpose and uncover why you are here. This training will not only give you the skills and confidence to practice and teach Qigong, but it will open a door of self discovery. You will learn how you can be free from any limiting belief stories that may be stopping your ultimate growth as a human being. You will be given all the tools that you need to grow the life that brings you the most joy and fulfilment. All of those revelations, realisations and discoveries will transform you and your life will never be the same again. You will use this transformation in all aspects of your life and become a transformative Qigong teacher. You will make lifelong connections that go way beyond friendship with like minded people and you will become a family member of the Forest Rock Taiji and Qigong school and community for life. And you will join a fast growing Qigong community that extends into the world. Peter Caughey is the course creator and lead teacher. He will be joined by assistants and guest teachers with specialist experience who are part of our international faculty. The main focus will be on Qigong, Medical Qigong and Traditional Chinese Medicine with six different Qigong systems being taught. Many other aspects of life will be taught and practiced, for example Watsu water therapy, food and diets, pulse diagnosis, understanding emotions and how to break underlying limiting stories and how to create a sense of purpose and happiness in your life. Each instructor brings their unique character, experience and personality creating a rich and diverse faculty. The thing about Peter's teaching is that he embodies his teaching in his being, and that sincerity of practice is rare but very powerful. I am very grateful for having had the chance to meet and spend a few days with him. 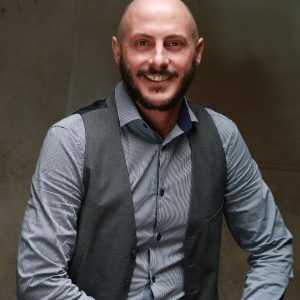 Cameron Tukapua is a Chinese Medicine Doctor and online educator who is passionate about empowering people to live their larger life possibilities. Using her lifetime learning of Chinese Medicine, Yogic teachings and cross-cultural wisdom teachings she helps people unfold their destiny by exploring where we came from and how to connect with our true nature. Cameron was owner-Director of Christchurch College of Holistic Healing, a New Zealand government registered acupuncture training College and has led spiritual self-identity retreats in rural China for over a decade. Drawing from a rich background of clinical acupuncture practice, committed Yoga practice and personal development training, Cameron Tukapua’s presentations are uniquely original. She invites her students to both understand and embrace their humanity while aspiring to a higher insight. Peter has studied self cultivation methods for 22 years. In that time he has focused his attention to Tai ji quan, Yin Yang Ba Pan (Ba Gua) and many different systems of Qi gong, both Wei dan (external) and Nei dan (internal) across the medical, martial, spiritual and scholarly styles of practice. 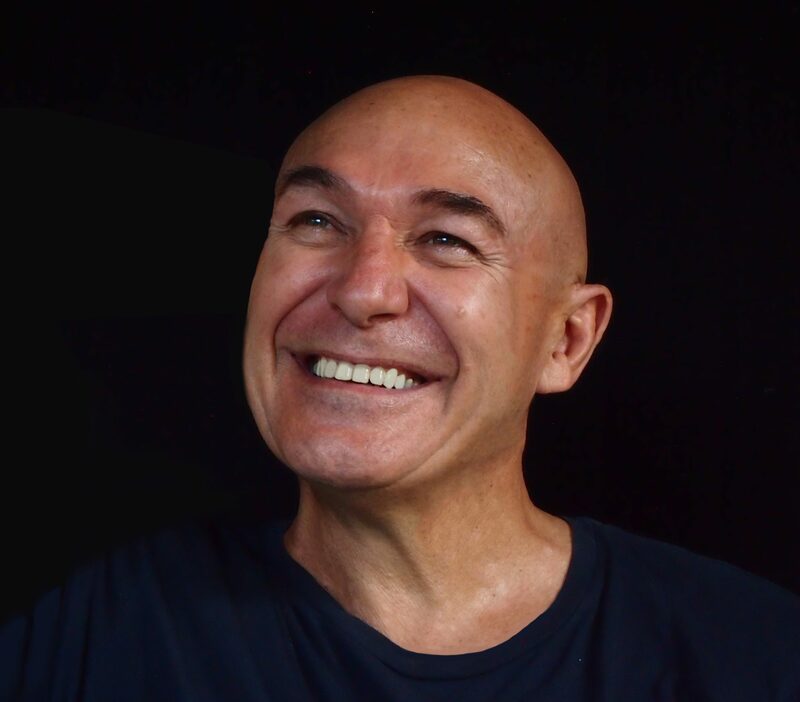 Peter studied and obtained an honours Diploma in Tuina, Qi gong and Tai ji quan, a diploma in Traditional Chinese Medicine, Biomedical sciences of anatomy physiology, pathology and pharmacology and a Health sciences degree in Acupuncture. * Diploma of Qi gong and Tai ji quan. 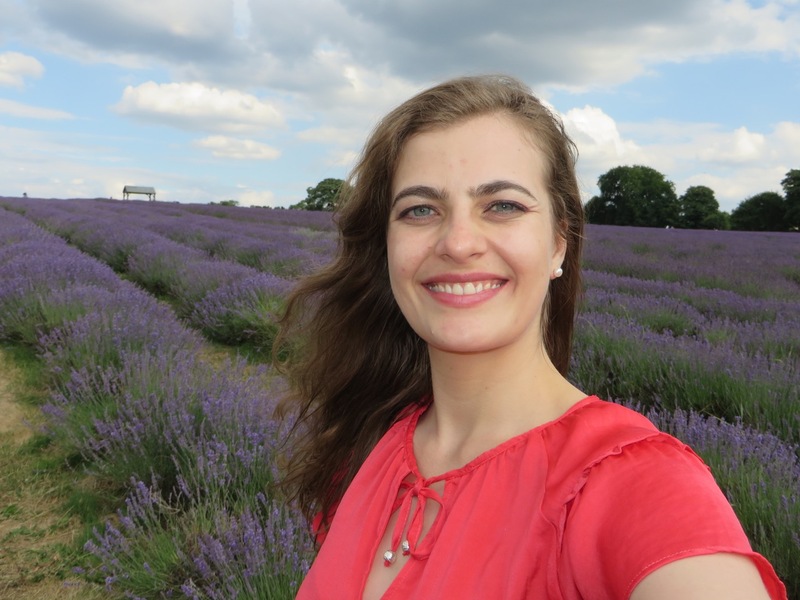 Sarah is a warm and engaging Traditional Chinese Medical practitioner with thirteen combined years of clinical experience in Qigong and Acupuncture and a background in Relaxation Massage. 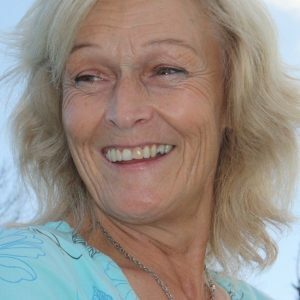 She has a passion for healing and has practised in New Zealand, the United Kingdom, the Caribbean and Europe; both in private clinics, a community clinic and an international spa. * Discover why you are here. 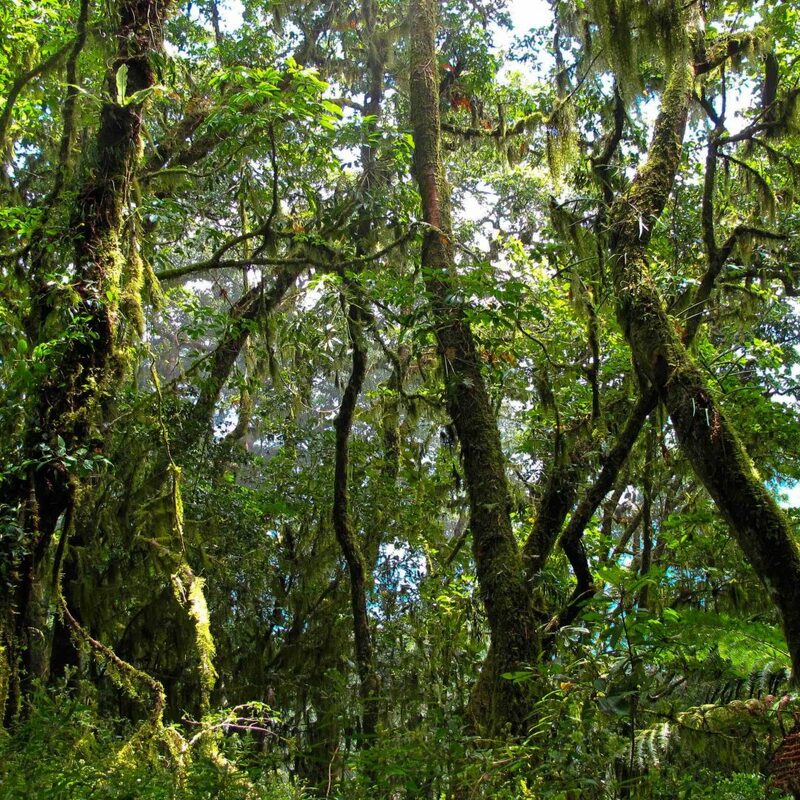 Cameron Tukapua will be conducting a special section during the Retreat that brings Power to the Yin Energy and is called ‘Nourishing our Roots’. These 7 steps are journeys into ‘where we come from’ and ‘how to connect consciously with choosing how we travel’. Exploring our ancestral power as Source – In TCM called ‘Jing’. How to gather our power – learning to contain our power and maintain our reservoirs. 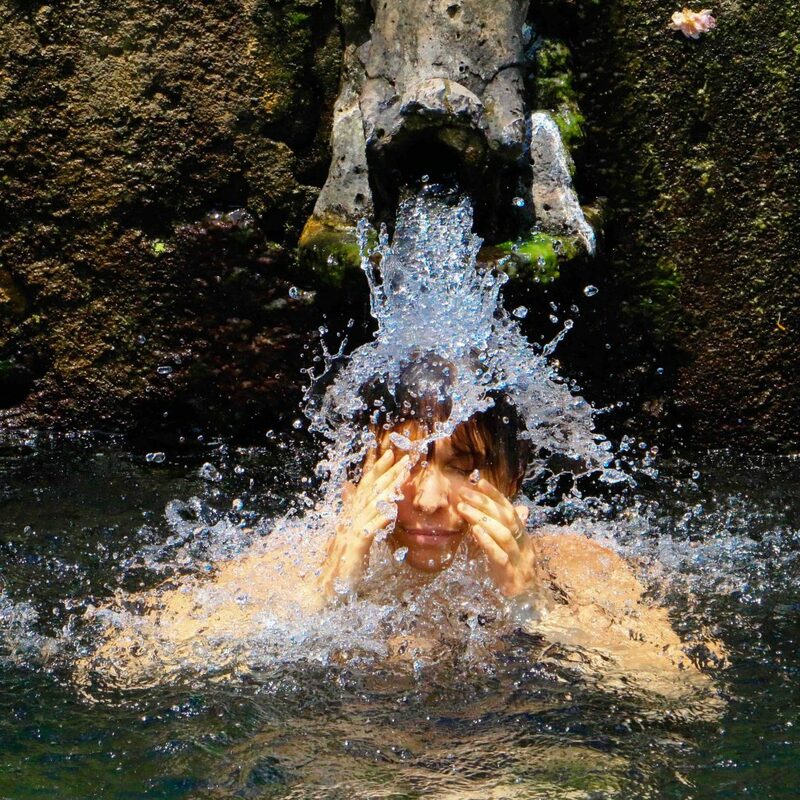 How to get into life’s flow – Liver free flow. How to be present within ourselves in the world as physical – emotional – mental and spiritual beings. How to get grounded and earth ourselves. 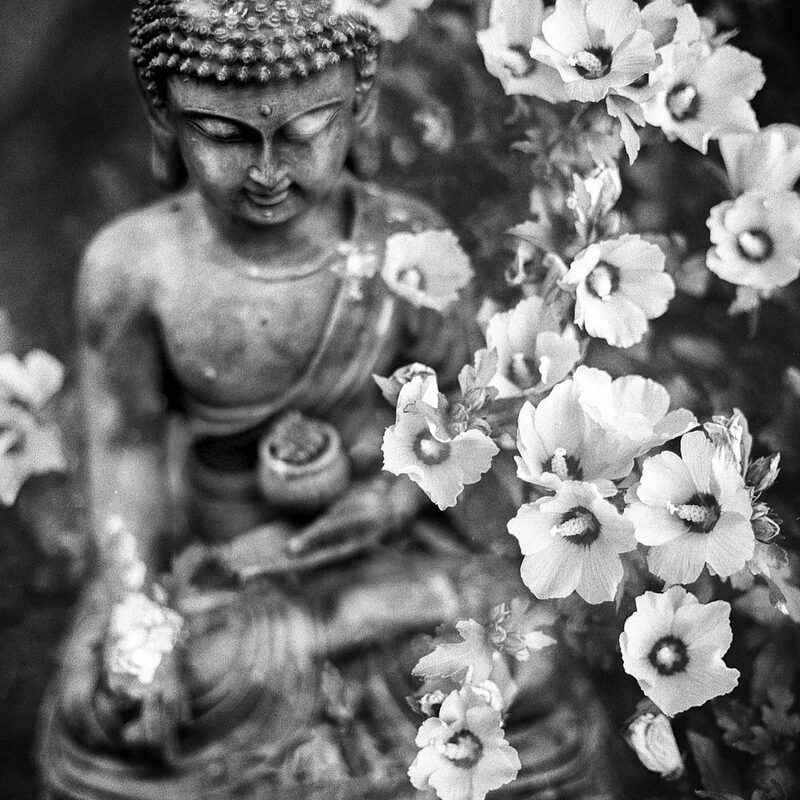 How to consciously nourish our Yin power. How to open up to partner the Tao/Oneness. This Section of the Teacher Training is a unique look into Traditional Chinese Medicine developed from Cameron’s wisdom and life time study of TCM. 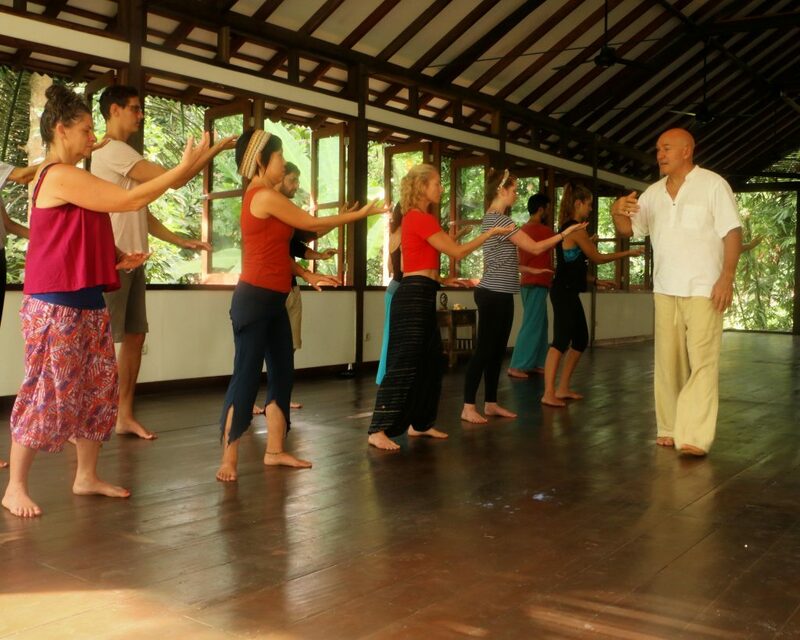 By joining our Teacher Training, you will begin a life long journey with Forest Rock Qigong and Taiji School that will profoundly change the way you practice, learn and teach and also the way you see life. You will discover how to move the body with Qi, Heal with Qi and float with Qi. You’re going to put all these new skills and techniques into practice. Your experience with us is not just technical and theoretical – there is a strong emphasis on personal practice and hands on Medical Qigong Training, and also on how to create a powerful daily training programme. You’ll learn from our world class and inspirational teachers about the Qigong exercise sequences, Meridian Theory, Yin Yang and 5 Element Theory, along with the communication skills to lead people from the front of the room with confidence. By deepening your personal practice, you’ll develop the strong foundations needed to take your practice to the next level and begin your journey to teaching – if that’s your desired direction. This is an intensive 30 day training, where we balance activity, theory, food and rest. Leading up to the retreat training and to get you into the TCM and Qigong mindset. The Forest Rock Taiji and Qigong Monastery School was created out of the teachings and information gathered over Peter’s 25 years plus period of studying Taiji Chuan, Qigong, Traditional Chinese Medicine and from the principles of Traditional Monastery Schools teachings from China. The Forest Rock Taiji and Qigong Monastery School was established in 2003 and the Trust in 2009. The School carries some of the unique philosophy and teachings of the ancient monastery schools in China. Part of the Philosophy of the school has been handed down by teachers, and part is by experience and is now taught and upheld by the Forest Rock Taiji and Qigong School. 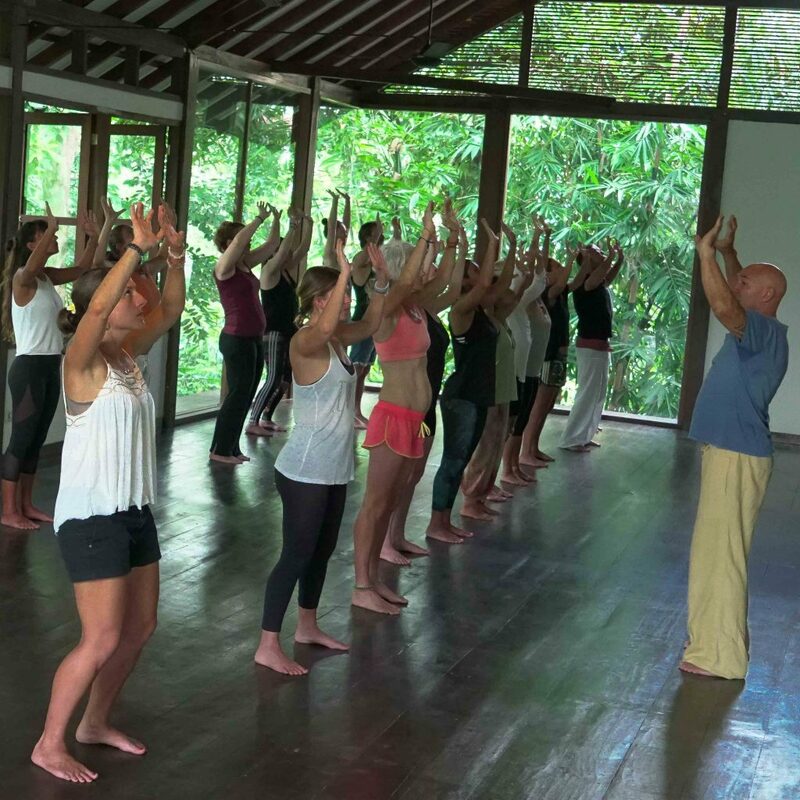 The site for the Qigong Teacher Training is located on the Camphuan Ridge, Ubud Bali. 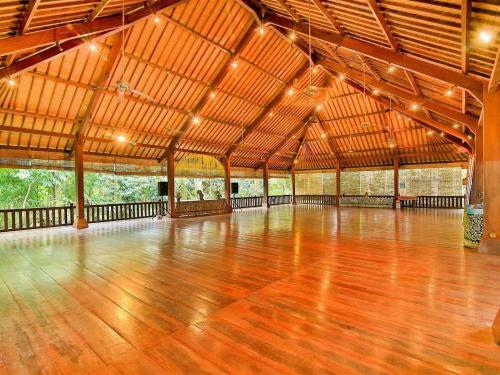 It’s a beautiful, safe and sacred space, surrounded by rice paddy fields and overlooks the greenery of the jungle. 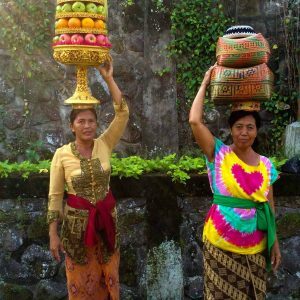 Just a short walk from art galleries and the amazing cafes and restaurants that Ubud is globally known for. We offer this space with open hearts – welcoming trainees from all over the world who come here to find mind and body and soul healing. It is the Schools’ philosophy to live in harmony with not only each other, but with all aspects of nature, the Earth we live on and the Universe we live in. The Philosophy is about observing our deep relentless search for inner contentment in a world that is constantly changing, where as human beings we have ultimate choice. Another aspect of the philosophy is our primal desire to discover and understand why we are here, and to find inner peace. Your support by attending classes, retreats and workshops and donating to the School, helps to keep these teachings and philosophies alive and, preserves them from being lost forever. It is Peter’s privilege through the Forest Rock Taiji and Qigong School to carry on the traditions and teachings of some of these ancient practices. ‘Ubud’ in Balinese translates to ‘medicine or healing’. 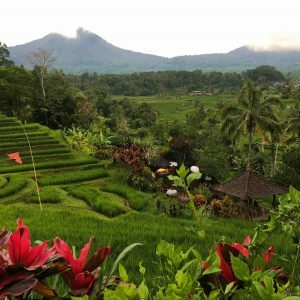 For centuries people have been coming to Ubud to experience healing and the magic of it’s lush jungles, green rice paddies and the beauty of its rich culture. 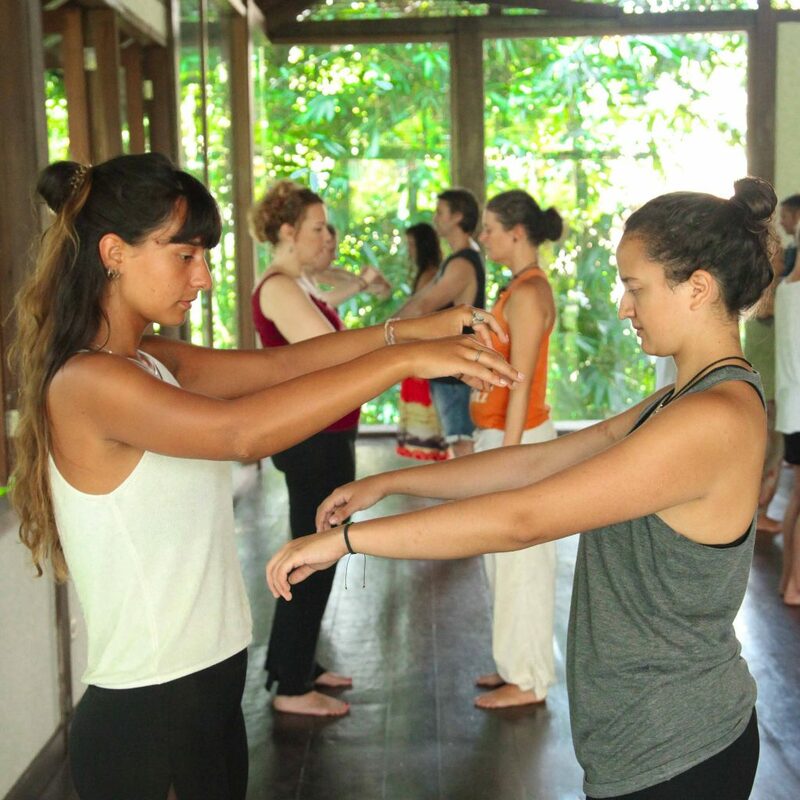 It comes naturally that Ubud and Qigong are a powerful mix. In the past two decades, Ubud has grown to be recognised as one of the best spiritual places to visit in the world. Everywhere you look you’ll find retreats and workshops, on many, many health and healing modalities. 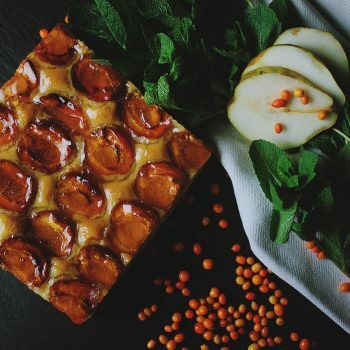 There are more vegetarian, vegan and raw cuisine places to eat than you can imagine. During the training you will venture into Bali in a profound way. 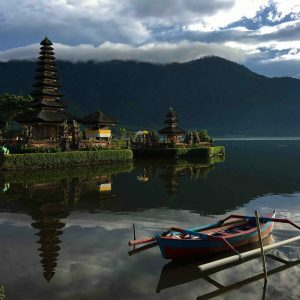 You will experience sacred temples, water blessings, vibrant rituals, waterfalls, Volcanos and the nurturing culture of Bali. 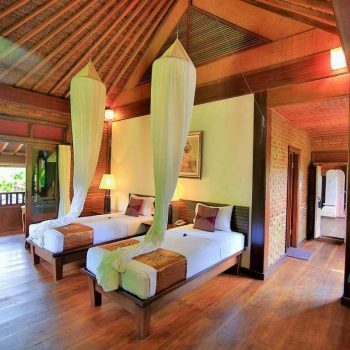 Located in the cool tranquil hills just outside of centre of Ubud is Ananda Cottages. 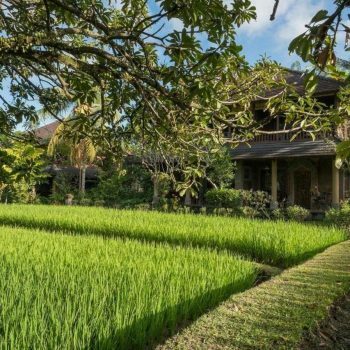 On offer is a lovely rural view surrounded by lush, fertile rice paddies. Bali’s natural beauty remain a part of the cottage grounds. 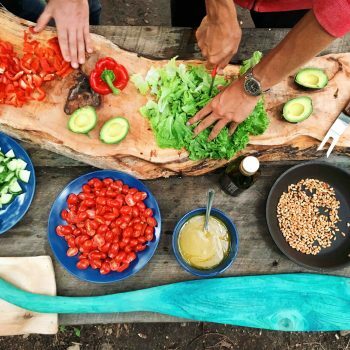 Eating delicious fresh and nourishing food is a huge part of living with abundant energy. If you’ve even been on retreat with Peter you will know that eating good food is a big part of it and the food is alway incredible. The chefs preparing your meals are trained by a Californian chef in the art of wholesome vegan and vegetarian cuisine. They know how to prepare delicious soul food that will fill and nourish you on all levels. Your investment in this training is an investment in yourself. This is not simply ‘another training’. Every aspect of your life will be touched and transformed. Not only will this training prepare you to teach Qigong at a professional Level, but you will also receive all the tools you ever need to live an empowered, free and happy life. Are you a local citizen of Indonesia, or a KITAS holder? 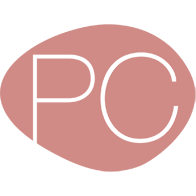 Please contact us through the button below for special rates! For the forward thinkers and planners: There will be limited positions on the Teacher Training so book early to reserve your position and you will also get a discount. Please read the following terms and conditions before you submit your application form for Forest Rock Qigong Teacher Trainings and Retreats. We offer you accommodation on site in a 3 star hotel with breakfast, lunch, dinner and afternoon tea included as part of our retreat package. Twin share rooms and single rooms are available. To maximize the experience of the 30 day retreat, we highly recommend that you stay on site with the group. There are also many options for accommodation in the area if you choose to stay off site. For one month, you will completely absorb yourself in the ancient art of Qigong, Qigong Healing, Traditional Chinese medicine and philosophy. You will open your heart, deepen your practice, and form bonds that will last a lifetime. We will begin each day with a 1 hour Qigong class. The rest of the day will be spent learning a variety of subjects from teachers who are Masters and Senior tertiary educators in their fields. Subjects include: Qigong, 5 Element Theory, TCM, The Power of Yin, Medical Qigong, Qigong Philosophy, Sound Healing, Public Speaking, Creating the life you want. There will be plenty of time for some fun too–so don’t worry. Our evening sessions and group activities will have you smiling and feeling the love in ways you never thought possible. The training is held in the Jungle Shala at Ananda Cottages, in Ubud, Bali. The training room is located in the midst of rice paddy fields and jungle. Is is a special site isolated from the hustle and bustle, which is perfect for Qigong training. 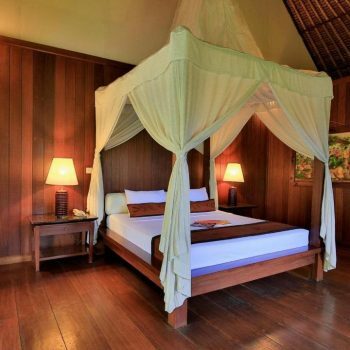 The accommodation is close to shops and restaurants and is located in one of the best areas in Ubud. There will be scheduled free time each week. However, because this is a 200 hour training and we have a lot to cover, there won’t be large amounts of it. How early should I arrive prior to the training? This is entirely up to you. If you are travelling long distances, you may want to allow some extra time to get settled in. Also, please consider your Visa restrictions (see Visa section). Bali is approximately 8 degrees south of the equator. So you can expect a tropical, warm and humid climate all year around with two main distinctive seasons: Dry Season (March-October) and Rainy Season (November-February). The temperature is humid and generally 27-31 degrees (77-88 F). If you choose our accommodation package you will be served three delicious vegan and vegetarian meals every day. The chefs are well trained and experienced when it comes to meal plans and any special dietary needs, just let us know and we will do our best to cater for you. If you choose to eat off site, the food in Ubud is absolutely amazing. 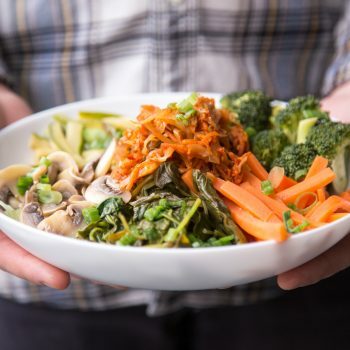 Whether omnivore, vegetarian, vegan, or completely raw, this town caters to all tastes. While there will be plenty of time for rest and integration, the training can be a very consuming experience. For that reason, we recommend that you bring everything you need with you. One note: We have a number of special evenings and events planned while you’re with us. One of these nights requires a certain type of dress – please pack a ‘white’ outfit, something that is below knee length for women, and covers the shoulders (men and women). Also pack comfortable hiking shoes (trainers are fine) and clothes for a mountain hike. It can get cooler in the evenings in Ubud so you will need some light long sleeve pants and tops. For the Training only – the cost includes tuition, training manual and all materials, daily afternoon tea, free Qigong classes at Radiantly Alive Yoga Studio 1 week before, during, and 1 week after the training. Accommodation & Training package – cost includes all of the above plus 30 nights accommodation (single or twin share), breakfast, lunch dinner and afternoon tea. 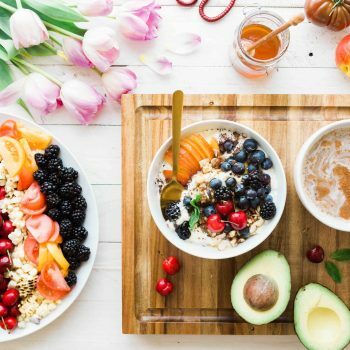 Lunch & Training package – includes the cost of tuition, a manual and all materials, lunch, afternoon tea, free Qigong classes at Radiantly Alive Yoga Studio 1 week before, and 1 week after the training. To enter Indonesia, your passport must have a minimum of 6 months remaining validity from the date of your prospective DEPARTURE FROM Bali. Please be proactive and learn about Visa requirements particular to your own home country in advance of actual travel and ask for confirmation when closer to your departure date since immigration requirements in Indonesia are subject to sudden changes. If you decide to enter the country on a free, Visa on Arrival, please know this Visa is not renewable. You will be charged a 300,000 IDR fee for every day you overstay your Visa. If you’re planning to overstay less than 3 days, this may be a more affordable option than obtaining a visa. You may also consider obtaining a 60 day Visa on Arrival ($35 USD) which is renewable after 30 days. If you obtain one of these, we will assist you with the renewal and provide time during the training to go to Immigration for the renewal process, which will cost 600,000/700,000 IDR (can be subject to change). 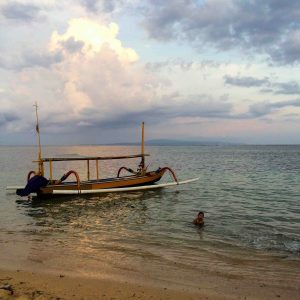 We will do our best to keep you updated on any changes we become aware of, however it is solely your responsibility to arrange your visa and paperwork for the time you plan to be in Bali. We strongly recommend you obtain a visa in advance from the Indonesian Consulate in your home country. This will allow you to relax and enjoy the training without concerns of Visa renewal. If you elect to get a visa that requires a renewal during the course of the training we cannot guarantee you will have the time and availability to leave the training site to do so. It may be worth being comprehensively insured to cover all costs and consequences of medical treatment, repatriation, damage/theft/loss of personal belongings, recovery of course fees and flights booked in the event of cancellation or early departure. In the case of minor illnesses or injuries, there are a few medical clinics in the local Ubud area and several international clinics closer to the airport. These clinics typically do not accept insurance (though you may be reimbursed through your insurance provider) and are relatively inexpensive. If situations require extreme medical emergency care, patients are evacuated to Singapore. Due to significant cost evacuation care, it is advisable to check this coverage is included on your medical plan. it shouldn’t need to be stated though due to the extreme nature of penalties in Indonesia we put an extra cautionary note DO NOT bring any even “mild” drugs/narcotics (other than prescription) into the Country. Violators, even if they are not from Indonesia, are subject to life in a 3rd world prison and the death penalty, and the foreign governments can do very little about it: don’t take any risks. Do I need any experience of Qigong to be able to attend? You don’t need any prior experience of Qigong to be able to attend. It is recommended that you are in reasonable good health as you will be practicing physical exercises.